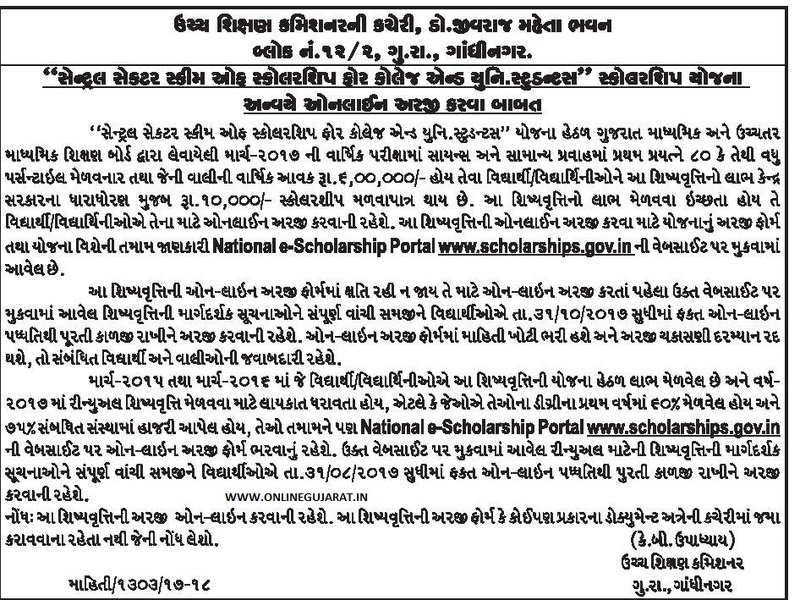 Central Sector Scheme Of Scholarship - National Scholarship Portal 2017–2018 Online Application . For the registration of the student, you have to perform some basic tasks as described as following. 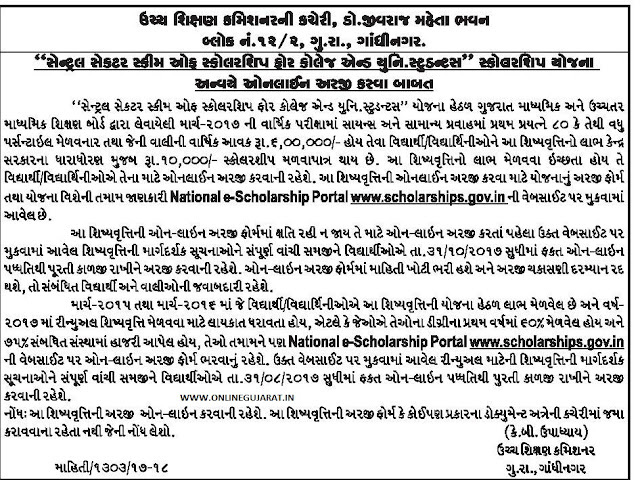 For more information about Central Sector Scheme Of Scholarship then refer official website .